Nutrition for Learning has been a registered charitable organization since 1997. We support community based nutrition programs committed to improving the learning capacity, health and wellbeing of children and youth in Waterloo Region. Each day, one in ten children arrive at school without breakfast or lunch to sustain them an entire school day. Nutrition for Learning provides student nutrition programs to children aged 5 through 18 years throughout the Region of Waterloo. We are a community run organization with over 1,100 active volunteers supporting the mission to enhance the ability to learn by ensuring that each student attends school well nourished. Nutrition for Learning currently supports 136 community based student nutrition programs impacting over 17,500 children daily. 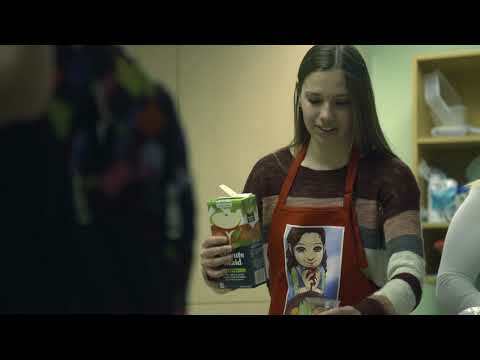 Our dedicated volunteers coordinate student nutrition programs in elementary and secondary schools throughout Waterloo Region. We invite you to directly impact the future of children and youth in Waterloo Region with a donation today. "Life is divided into three parts. We Learn, Earn, Return. The smiles I get from the kids and teachers at are worth a fortune. I know that I am helping these students to a better life in their health and studies. "